Back in the day, teachers may have received apples from students. 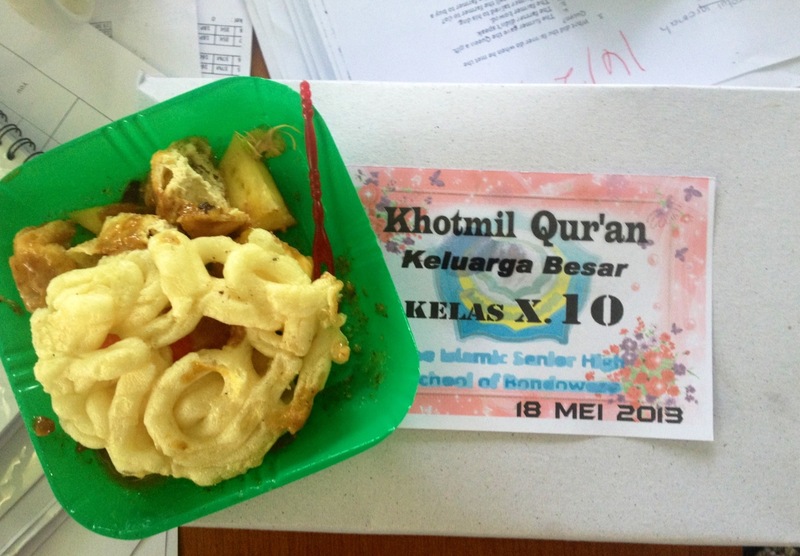 In Indonesia, entire classes of students celebrate certain events (such as getting through reciting the entire Al Qur’an) by giving all teachers food boxes. This is a common affair, but today I broke a record. Today alone, I received THREE food boxes and some additional kue, or snacks, from my school and students. I have enough rice to feed a family of 6! Tags: Bondowoso, culture, education, food, Indonesia, teacher problems, teachers, teaching, Tefl. Bookmark the permalink.